Meeting the emergency response needs of Center Township rural resident, property holders, and visitors. Utilizing and constantly improving the skills and dedication of our members. Constantly improving our emergency and prevention services, and operations. Give the highest priority to firefighter health and safety and environmental concerns in all operations. Work as a team to take full advantage of our skills, knowledge and creativity. Communicate openly and honestly to our members, community, and residents to inspire trust and confidence. (1) Download the CTVFD Application. or if you're at least 15 years of age, you can download the CTFD Cadet Form. (2) Fill out the application. Call us if you have any questions at 219-362-2736. We look forward in hearing from you. 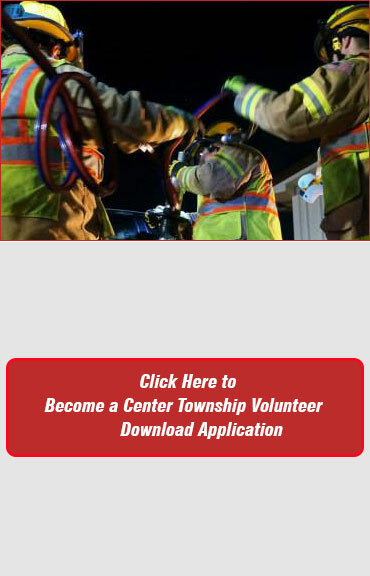 Center Township Fire Rescue Fire Department © .